With sheer mesh panels and a delicate lace trim this Aprico knit tunic is a stunning take on autumnal knitwear. 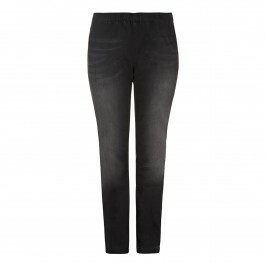 We’ll be teaming ours with Aprico’s black skinny jeans for a contemporary monochrome look. Slightly flared long sleeved black knit tunic with lace and chiffon detailing. 70% Viscose, 30% Polyamide; Trimming 100% Polyester. Delicate machine wash.